Like the ninth generation Honda Civic, the Chevrolet Malibu mid-sized sedan has received a facelift barely a year after its launch during the second half of 2012.  This would generally indicate that the new model is not well received by the public. 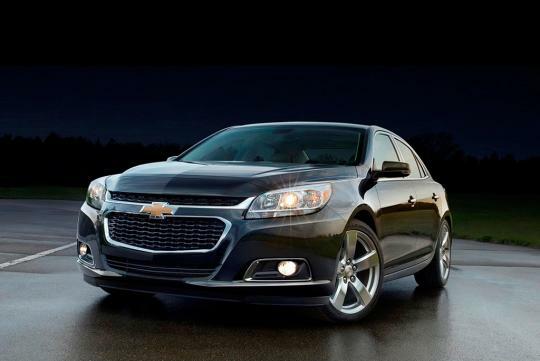 "The 2014 Chevrolet Malibu builds on the strengths established by the all new 2013 Malibu to make it a stronger choice for customers," said Mark Reuss, President, General Motors North America. 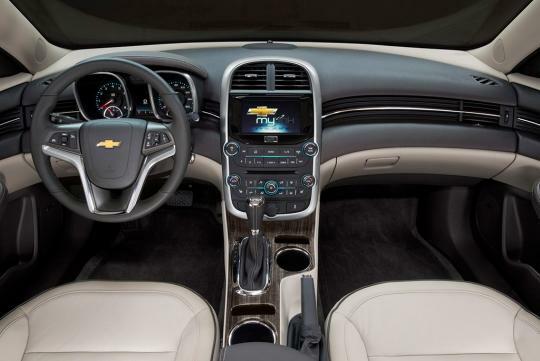 "The midsize sedan segment is the most contested in the industry and we�re not sitting still with the 2014 Chevrolet Malibu," he added. 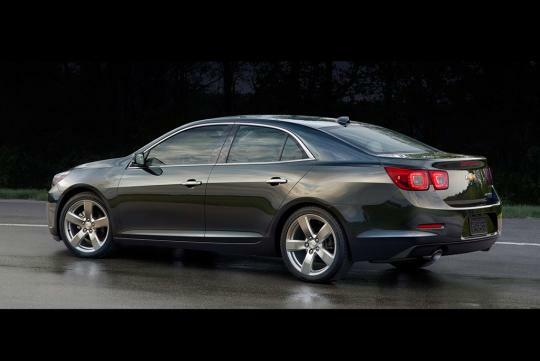 Exterior updates include a revised grille influenced by the Chevrolet Impala and tweaked taillight combination. On the inside, rear knee room has been improved by 31.7 mm. The gearbox housing has a slimmer design with two dedicated cup holders and cell phone holders. 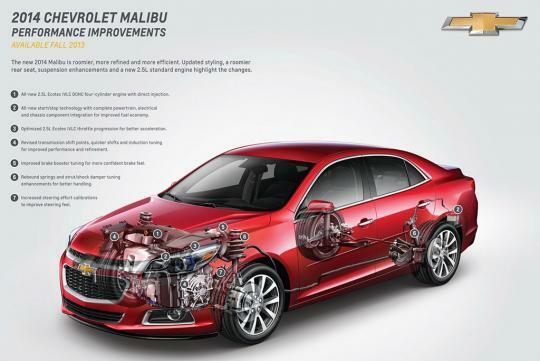 Updates to the 2014 Malibu are more than skin deep. The 2.5-litre Ecotec unit gets a start/stop system which helps to improve city driving fuel economy by about five percent. The 2.0-litre turbocharged four-cylinder gets a 14 percent boost in torque to 400Nm while pumping out 259bhp. The suspension, electric power steering and braking system are revised as well. Is the Civic Type R getting a new facelift soon?